The members of the CEE (Community Engagement & Events) team are always on the lookout for unique and interesting opportunities to support the fan community. Working closely with the North American LEGO Castle marketing team we are happy to continue our yearlong competition celebrating the anniversary and return of LEGO Castle in 2013! We have partnered with the 9 large fan conventions taking place in North America in 2013 (BrickFair: Alabama, Bricks Cascade, BrickFair: New England, Brickworld: Chicago, Brick Fiesta, Brickfête, BrickFair: Virginia, Bricks by the Bay and BrickCon) as well as with our colleagues on ReBrick to offer up an opportunity to win an entire collection of the new 2013 Castle product line. 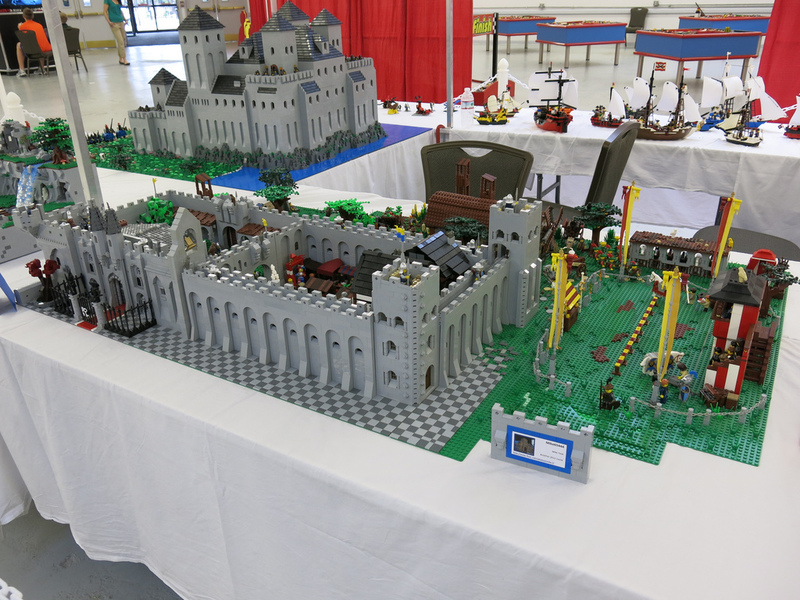 As each convention already offers up a castle themed section for MOCs, as well as some form of “best of” category at the event, we have agreed that the winner chosen at each event will become a semi-finalist in our competition. 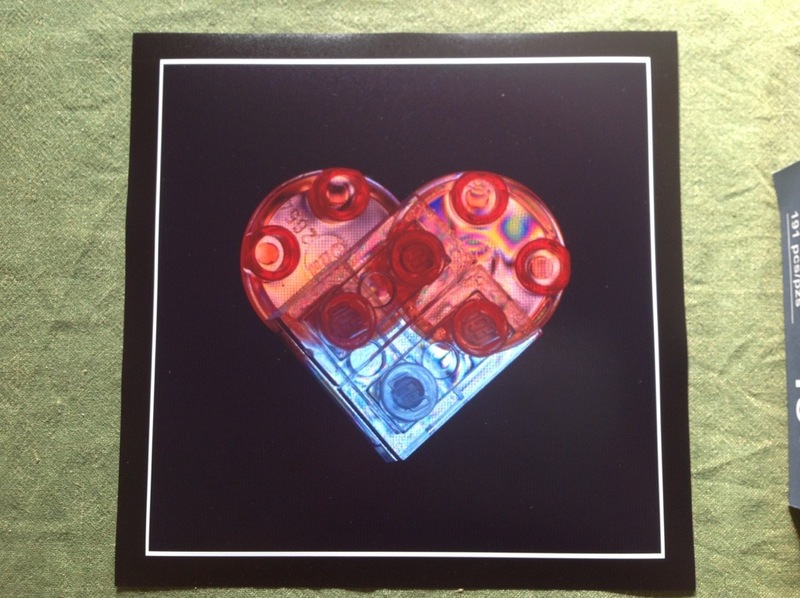 This individual will be rewarded with an entire collection of the 2013 Castle product line once available, as well as enter into a final round amongst the winners chosen at each of the other conventions to compete for a secret grand prize. We understand that not everyone is able to attend these events; as such, we have opened up the competition online as well with our colleagues at ReBrick. The competition details have already been posted and can be seen here so anyone, anywhere, has a chance to enter! We have found our third semi-finalist! 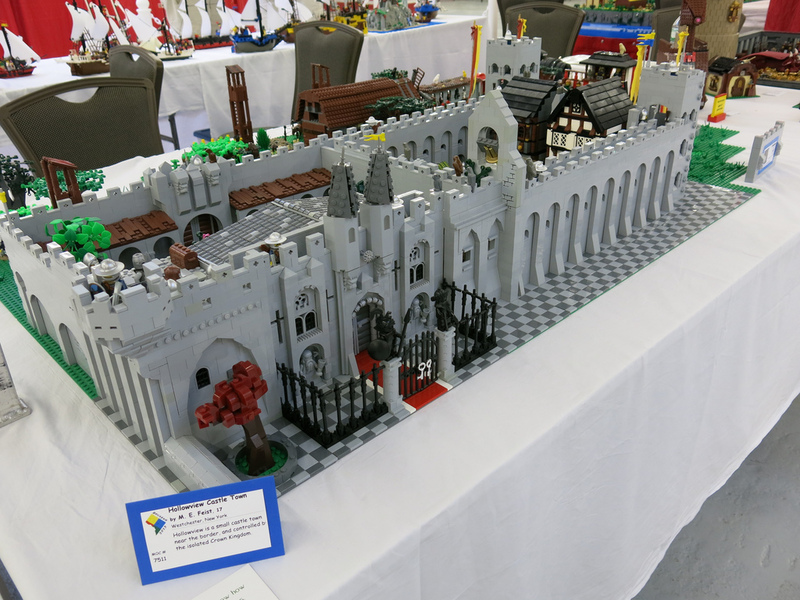 Michael Feist, from Briarcliff Manor, New York came out and showcased his wonderful castle at BrickFair: New England. His MOC was selected as the “Best of Castle” at the event and as such he will be receiving an entire collection of the 2013 LEGO Castle product line! His MOC will now move forward and compete against the 8 other North American fan conventions as well as the online winner selected on ReBrick! Congrats Michael! 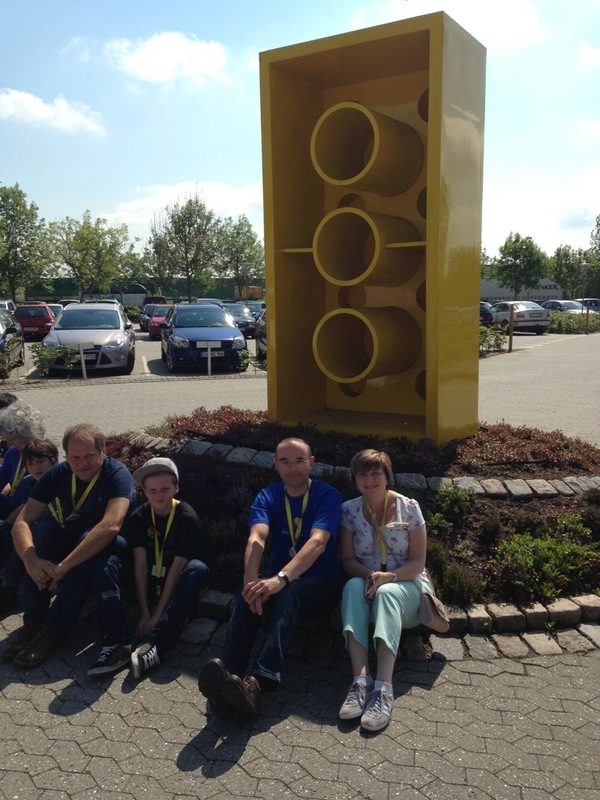 Today I was the guide for the 2 Billund production facilities for the guest of the first 2013 LEGO Inside tour – it was a great group of people including Huw from Brickset and his lovely wife. This week has been very productive for me with catching up on a majority of tasks that have been on hold for some time. I am happy to report that I have now processed and shipped out LUG support packages to all 82 groups that submitted applications in North America (keep in mind we have 94 active LUGs in NA). What does that equate to you ask? 239 LEGO sets and 275 cases of play brick made their way out of the Enfield warehouse over the course of the last couple of months. Now they are being utilized by the LUG community to support their activities and initiatives. I’ve heard some wonderful stories on how the groups have been using these gifts and I look forward to hearing more throughout the year during my travels and discussions. Now that North America is “finished” I will set my sights on South America! I’ve also caught up with every event support application currently submitted for North America as well! So far this year I have received 77 event support applications, 75 of which have been successfully supported (2 events had too short of notice unfortunately). Obviously, event support applications will continue to come in throughout the year- but now that I have finished off all the backlogged apps, I should be able to easily accommodate new ones much quicker as they come in. Of course, the burning question- what does all that work equal in terms of brick and sets?! 258 LEGO sets and 125 cases of play brick. Are you keeping track? 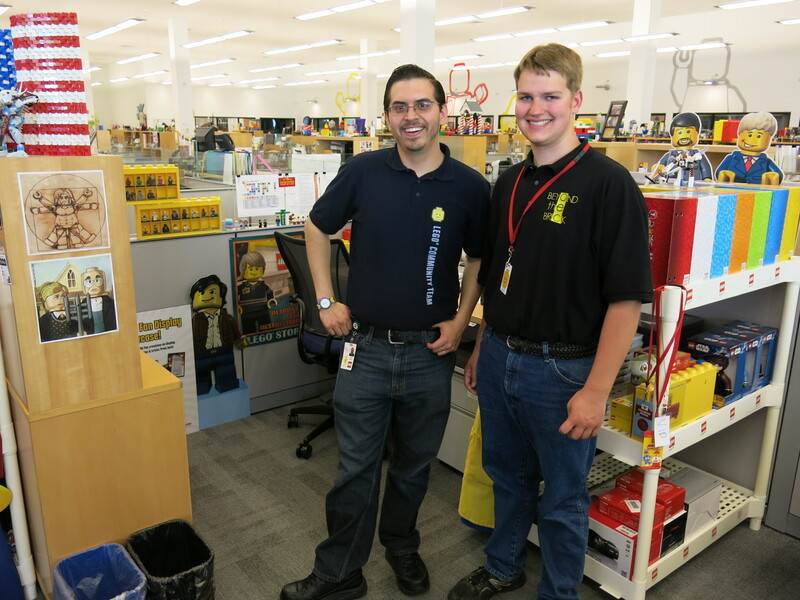 That means the CEE (Community Engagement & Events) team at LEGO has now donated 497 LEGO sets and 400 cases of miscellaneous LEGO play brick to the LUG community in North America in 2013! As of today, I have not received any event support application for South America so I’m up-to-date in all my regions! As we quickly approach the summer season that means it’s time to kick into US LEGO fan convention “high gear” for another year. I am finalizing preparations for Brickworld: Chicago, we should have a rather large LEGO presence at this event this year (stay tuned for my upcoming post). However, I am also well underway putting together support packages and coordinating support efforts with Brick Fiesta, Brickfete and Bricks by the Bay. The travel schedule defiantly heats up at this time of the year as the events all squeeze their way into the summer months. Somewhere in the middle, I will also be making a trip out to Billund, Denmark for the annual CEE team meeting. The one time of the year that every member of the CEE team is in the same place at the same time. To wrap up the week I was happy to meet up with Josh Hanlon from the weekly LEGO community podcast Beyond the Brick at the office. It was good to catch up with him again as I’ve met him before at Brickworld: Chicago 2012. I was also a guest on his show around this time last year (before I made him change the name of his show). I’ve also met his co-host Matthew Kay at BrickFair: Virginia in 2012. I was able to provide him a tour of the LEGO Enfield campus and answered his questions as we walked. He also got to see the desk in which I speak with the entire fan community in North, Central and South America. I didn’t let him sit in the chair though- with great power comes great responsibility you know. He should have a recap of his visit up in the coming weeks so I look forward to hearing about it! That’s all from me- back to work! A couple of nice presents from the visiting Swedes. First up is a really great photo that is going to hang in the office just as soon as I get a frame for it. There is no way I am going to stick this to the wall with gum or pins! 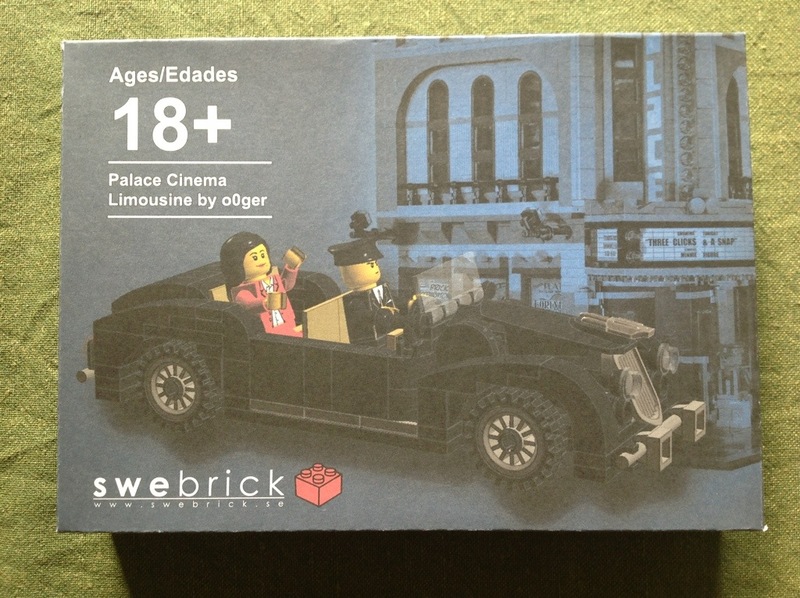 Next I was presented with an exclusive SweBrick set from their contest on making a better limousine for the Palace Cinema set. Only six has apparently ever been made and I am very honoured to get one of them. Another one was given to me temporarily and it is a gift to the designer of Palace Cinema. I will make sure to get it to her as soon as possible. I wonder why the SweBrick AFOLs are so happy about black and grey scale? They blacked out their webpage at some point (which by the way looked awesome) and they all wear black tees or polos with their logo. Must ask them next time I meet them – which is probably going to be at LEGO Fan Weekend in September or at their event in October. Thanks again for dinner, a nice day and some great presents. So tonight SweBrick kindly invited me for dinner and some evening fun. There was a speed build contest in which the participants had to build the 30071 Green Army Man from Toys Story – sadly I didn’t win – though I would call myself a decent 2nd. Then another contest where they (we – and I failed miserably) had to disassemble the set again. My hands were still shaking badly from the speedbuild so I had no chance of even taking apart half the set before the contest was over. 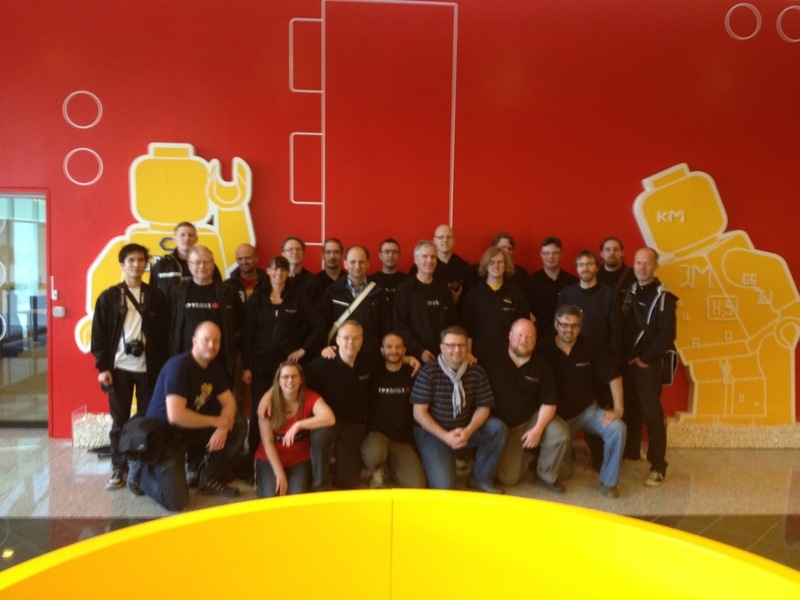 Today a bunch of Swedish fans are visiting us in Billund. 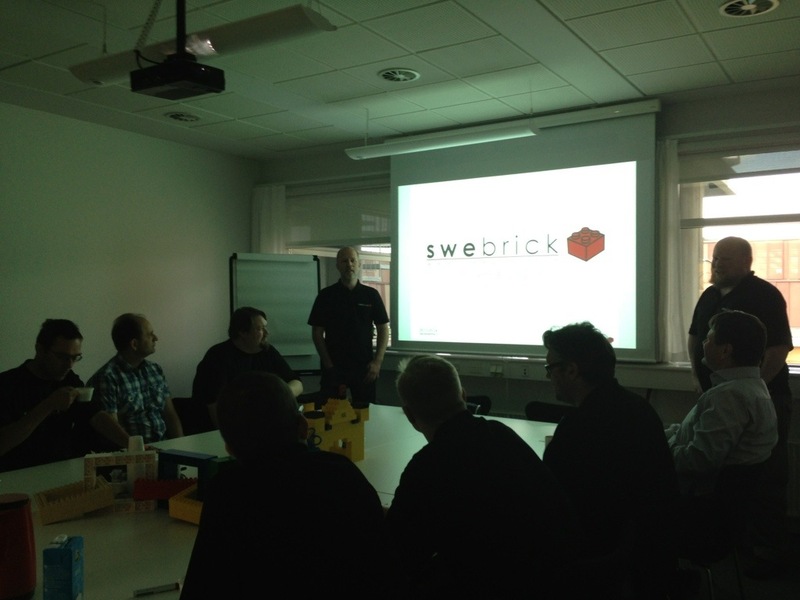 They are giving a nice presentation around Swebrick to the CEE Team. Model Expo 2013 Finland, a set on Flickr. So I’ve finally managed to upload all the pictures I took at Model Expo in Finland. It was a really great event and the AFOLs from Palikkatakomo are indeed worth a visit. Thank You for your hosting me and also for the cap – I use it often now that the sun has decided to show itself.